Dream author, dream book, dream actors, dream director, dream movie and there comes a dream journey called Pather Panchali! A dream, we will love to cherish generations after generations. 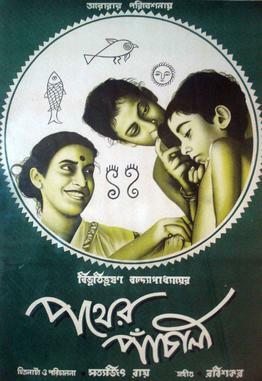 It was yesterday, that “Pather Panchali” completed its 60 years. Pather Panchali has showed how to celebrate the simplest moments of life through cinema. There is absolutely no grandeur in the way of storytelling of Ray. Whatever he showed on screen, that’s exactly he meant to say! It’s pure, it’s honest. Limited budget, amateur actors, and inexperienced crew-the film went through all. And there were other technical hindrances which challenged the crew to go beyond their comfort zone. Who could stop it from touching our heart? Ultimately, it’s the treatment of a film that wins. Pather Panchali’s best aspect, I think, it talked to each and every audience; the audience beyond cultural or linguistic barriers. Satyajit Ray used to say, a film does not require to say everything but a few details which audience will take back home. The hide and seek sequence of Apu and Durga, Durga combing Apu’s hair while Sarbojoya affectionately watches them, Apu finishes the bowl of milk and Durga just wipes his mouth…they are so simple yet so warmly depicted in the movie. One can immediately feel the essence of their relationship through these small gestures. Infact, Babu da (Sandip Ray) once said, when there was a special screening of Pather Panchali held at their house, during the first half, Satyajit Ray and Dulal Dutta, the editor of the film were constantly discussing how it could have been better. But Ray was happy with the second half of the film when they were just watching the film without uttering a single word. This is very true that improvisation has no end. The more you polish, the more you improve! A film like Pather Panchali which changed the face of Bengali cinema in World Cinema took five years to complete for the lack of funds. I always believe, there must be a long struggle behind every success story! Previously, our budget was low and we had to give our best in that limited comfort we were provided. I’ve heard that after auditioning a good number of boys for the role of Apu, Bijoya Roy spotted the Subir Banerjee playing with some kids in their neighborhood. But Subir Banerjee’s father did not want his son to be featured in a film. Ray consoled him; today no one knows your son or me. But I will make a film that will change Bengali cinema. Then all of Bengal will know both of us. Nevertheless, their fame did not limit only in Bengal. Pather Pachali became phenomena that created history. I think Satyajit Ray has showed us the path: the art of simple storytelling. I would love to hear from all of you what do you feel about Pather Panchali. What is that one thing about the film which is still so relevant that we all can connect to? Let me know. Stay blessed. Love to all! So, what do you do when you get bored? Either complain or do nothing! Well, people also opt for a short nap. But these remedies are not advisable at all, coz they are not productive at all and leaves you feeling more lathergic! Let me suggest you few ideas. What about dancing like nobody is watching? Yes, yes I know, this is childish! But try it, it will definitely kick off your boredom and leave a smile on your face. Sometimes, we need to awaken our childish side right?! Another thing which is quite a common remedy, but always works! Good films. You know, there are films that never fail to lift your mood. I have lost count how many times I’ve watched “Jomaloye Jibonto Manush”, “Boshonto Bilaap”. Classics they are! Who can forget “Home Alone”? Oh, the crazy innovative ideas the child conceived, tears come out of laughing! In fact, one can try the funniest YouTube videos in the spare times. I watch them regularly and they are really stress-buster! My team says, I’m a bit health freak! I mean, what a better way to get away with boredom with shedding some extra kilos from your body. They make fun of it. But I say, actually I’m generating license to eat some really delicious (read unhealthy) food by this. By shedding kilos I am actually making space for indulging in little sinful food without any guilt. After all, I’m a Bengali and inherited the natural love for food! And count the free happy hormone which is generated in the body by working out. They leave you rejuvenated! It is hard to find a Bengali who hasn’t read Nonte-Fonte, Bantul The Great, Hada-Bhoda in their childhood! Who cares how old are you as long as something you enjoy thoroughly in every age? Nonte-Fonte never grows up and so is one innermost child in us which refuses to grow up. Keep that innocence alive. In our journey from innocence to experience, we lose many things. But we should not shut the doors for things which actually make us happy. Try out a new hobby, learn something new, read few book, watch good movies- everything will enlighten you in some way or other. Add value to life! And there will be no time for boredom! Cheers! A saying goes better late than never. Kishor Da has and will always remain special to me. How can I forget the man who has molded me into what I am today. The contribution which he had in my life is something I can’t express in words. The song “চিরদিনি তুমি যে আমার যুগে যুগে আমি তোমারি ” in Amar Sangi in the year 1986 says it all. Prosenjit Chatterjee without this song will be incomplete. I really feel so blessed that, I had his contribution in my movies. Also songs like Duchokhe rojoni tobu din guni and Choketa Shyraban Gaye Gun Gun and dhoya dhoya from the film jyoti are magical. Not to forget this man in bollywood has also created the buzz with his songs “Ek Ajanabee Haseena Se, Roop Tera Mastana, Ek Ladki Bheegi Bhaagi Si and many more. From his singing, to acting career and as a film maker he proved it all. There are few man who are really versatile and also the best at it, and in the film Padosan to Door Gagan Ki Chhaon Mein he proved it all. Above all a fantastic person from heart. As I was very small all I remember, in the set of “Ektuku Choya Lage”. where Kishor Kumar and my father were shooting.I often accompanied my father for the shoot just to see him. I still remember when he used to come for his show in Kolkata I made sure that I attend all his show as I really adore this man for his works and his efforts. 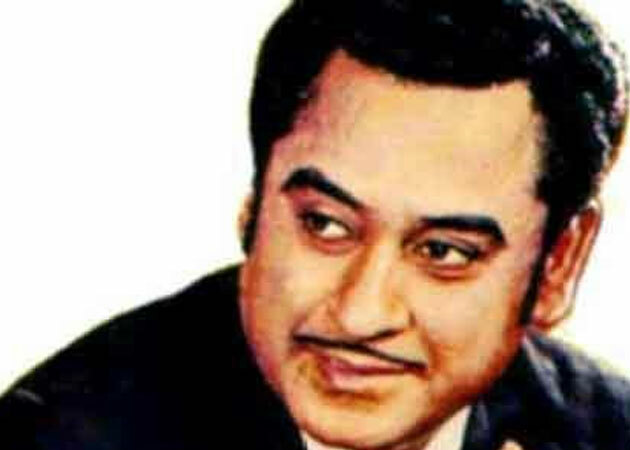 As Kishor Kumar was a dear friend of my father, whenever he came to my house he played harmonium. He was a man of music. Even I organized an event in Zee Bangla “Guru Ke Janai Pronam”, which was a tribute to the Kishor Kumar. I really respect this person, for the person he was,he even said ‘look I sang for your dad and singing for you too’ this man, truly a legend. Even his son Amit Kumar had a great contribution towards my life which is in my first film ‘Duti Pata’. Amit da sang all the song from the movie,which was a super hit. Actually the Kumar family had really played a important role in my life.